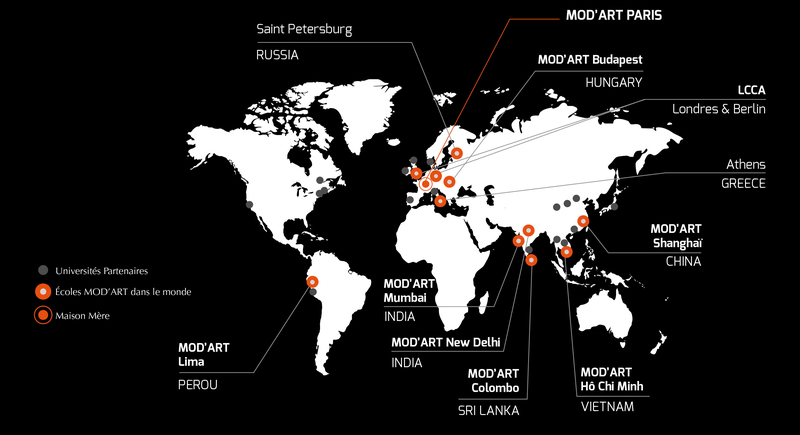 Founded in Paris, tough Mod’Art International has a global stretch, thanks to the many partnerships signed with local and international institutions as well. This co-operation results in stronger reputation, outreach and curriculum excellency to our programs. Thus, the specific professional aspects of fashion callings related to various and international cultures, enrich our curriculum.